​Our First Big Fat Greek Wedding was not what we expected. Well, there was not an inch of fat in sight, for a start. As rumours start about the remake of My Big Fat Greek Wedding called My Big Fat Greek Wedding 2 (what choice did they have? 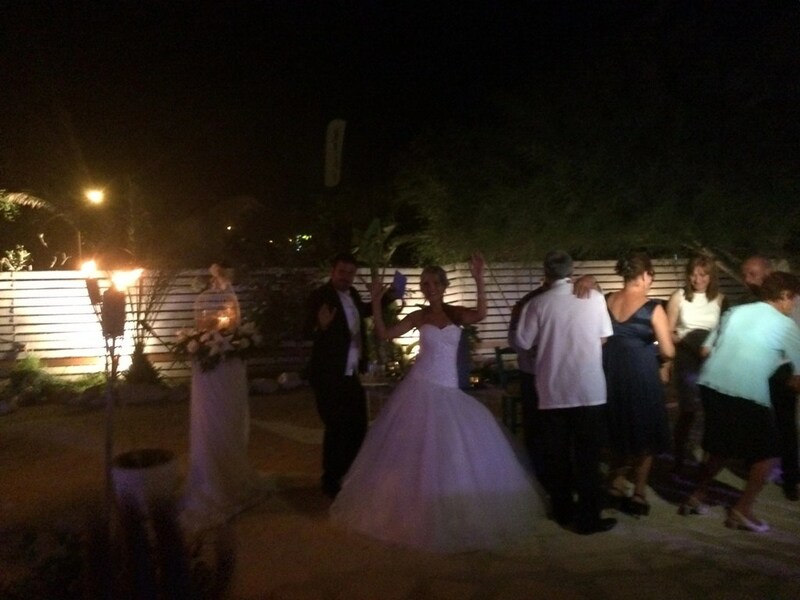 ), last weekend, Michelle and I attended our first ceremony in Larnaca. It is all of those things and more. In fact, it is very different to our traditional bonding ceremony where the best man prays that people find his speech funny, and the whole church is deadly still and silent during the service except for the obligatory baby crying its eyes out in its mother’s arms. So how do the Bride and Groom make themselves ready? The Greek equivalent starts with the dressing: the man is prepared by his best men (yes, plural), and the woman is dressed and made up by her bridesmaids while Greek musicians play the bouzouki and sing. When I got married I threw on the Moss Bros suit and headed for the pub. As the bride was Bulgarian there were also some traditions from her own country that she embraced, one of which was to write the names of all of her single female friends on the sole of her wedding shoe so that they would be able to find a husband. She also observed a ceremony with a red scarf where each of her friends and bridesmaids – already festooned with flowers for fertility and luck – wrapped a red satin scarf around her waist three times to bless her. After this, having already had the priest over to bless the house, they burnt Olive leaves and wafted the smoke over the bride. At this particular wedding their was a professional camera crew catching her every smile; the province of a bride is a special serenity on her wedding day. After the bride has been attended by all that tradition, the music stops, a plate is smashed and she is ready to be married. The wedding car then transports the bride around the town with guests – in their own transportation – lined up behind them tooting the horns on their cars to alert the town that a marriage was going to take place. The couple were married in St Lazarus’ church in Larnaca. All Catholic and Church of England ceremonies that I have been to involve the emotional exchanging of vows and a congregation that stays still and silent, but the Greek Orthodox churches allow guests to move freely around the church taking pictures and talking while the ceremony takes place. They also do not close the church to the public. As Lazarus’ famous tomb was directly beside the altar, locals and tourists ducked down beneath the golden structure and saw the graves themselves: they were concrete surrounds that were so small they could almost pass as child graves. Their lids were smashed and broken, no doubt symbolising Lazarus’ rise from the dead after Jesus bought him back to life. Later that afternoon, we were told that his actual remains were somewhere in the church but I wasn’t disposed to go in search of them. Greeks like to get married in the summer months to ensure the perfect weather with May and September the perfect months as they are out of the peak holiday season. The important part of any wedding day: the food. The reception was a lavish affair at the Nicosia sailing club in Larnaca. Chairs and tables were laid for over 100 guests to dine and as Cypriots like to eat late, guests arrived well into the night to help themselves to a tradtional Greek buffet. As we arrived, we were greeted by the Groom, the Bride and both sets of parents. We were then shown to a table where we were handed a commemorative bottle of wine and what looked like Imperial Leather soap, but was, in fact, a tasty after dinner biscuit. There was no stone left unturned. At the end of the table, there was the opportunity to write a message to them on a tag which they would read on their 1st Anniversary. We wished them all them all the health and happiness, which is surely the secret to a long and prosperous marriage. Was our first Big Fat Greek Wedding all it was cracked up to be? Read all about our amazing experience here.